Basil has enjoyed an extremely broad based practice spanning diverse areas of law including corporate, commercial, construction, real estate, arbitration and provision of litigation support. Over the years he has acquired an in depth knowledge of UAE law and currently heads the Real Estate and Construction group at the Abu Dhabi office. Prior to joining the firm, he spent some years at another UAE law firm. Before coming to the UAE he practised as counsel on the original side of the Bombay High Court, Bombay, India, for almost a decade and was a part-time lecturer at the K. C. Law College in Bombay. He obtained a BSc (Hons) degree from Wilson College, Bombay, India, and went on to study law and obtain LLB and LLM degrees from the University of Bombay, India. He was admitted to the Bar in Bombay in 1983 and has been a member of the Bar of Ontario, Canada, since 1998. Abu Dhabi-based partner Basil Siddiqi heads the real estate practice and has an extremely well-established reputation throughout the UAE. His practice spans a range of contentious and transactional matters, including the acquisition of real assets for outbound investors. Basil Siddiqi heads the firm's real estate practice, and is a key point of contact for clients such as DMCC. He is particularly active in the hotels and leisure space. “Basil Siddiqi has the ‘the local knowledge and delivers to international standards’." 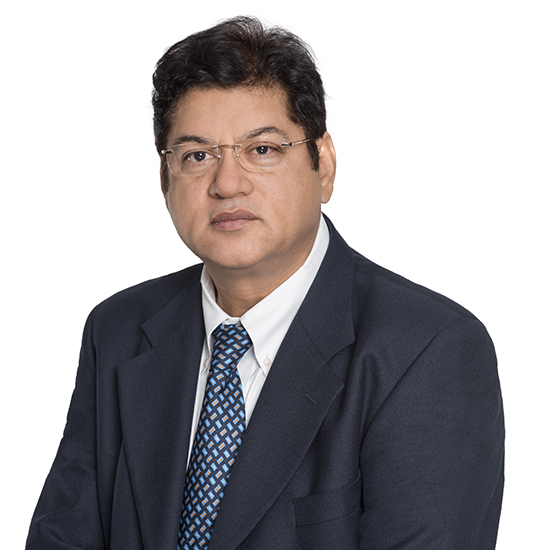 Clients can call on the deep knowledge of Basil Siddiqi when it comes to resolving disputes. He assists with both construction and real estate matters.